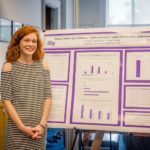 The High Point University Research Rookies Program works to incorporate students into the university’s culture of research and creative work, early in their undergraduate careers. The program is designed to create a community of undergraduate scholars and help build research-related skills to prepare students for faculty collaborative scholarship that makes an original contribution to one’s field. 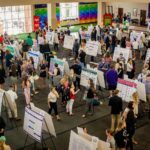 Getting involved in research or creative works in college helps students build unique credentials to distinguish themselves from among the 2 million other student they will graduate among and compete with for jobs or entrance into graduate and professional schools! Students who complete the Research Rookies Program will get a certificate elevating them to the status of Research Apprentice and will receive a medallion that can be worn at graduation. Research Apprentices will than be introduced to the faculty.